I am a C++/Windows developer and have been a Windows debugging enthusiast for quite a long time now. However, I have never been able to get a good and credible source of information with regards to the internals of debugging using WinDbg. Over the years, I have laid my hands on various sources that deal with Windows Debugging tools and debugging techniques. Every time I purchased a book or went through an online source, I was limited to confusing information that lead me to give up on this topic. Even reliable books that claimed to be the best in the market were nothing less than a colossal disappointment. 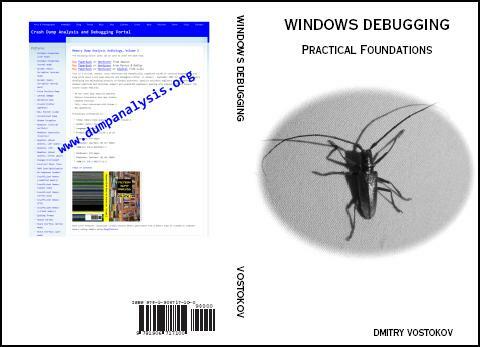 However, recently when I came across "Windows Debugging: Practical Foundation" that was purchased by a friend of mine, I was sceptic but, nonetheless, decided to give it a chance. Trust me, although not perfect, the book has helped me a lot in learning more about windows internals and debugging techniques. I would like to extend my complements for writing a book that divulges details in a very concise yet clear manner.